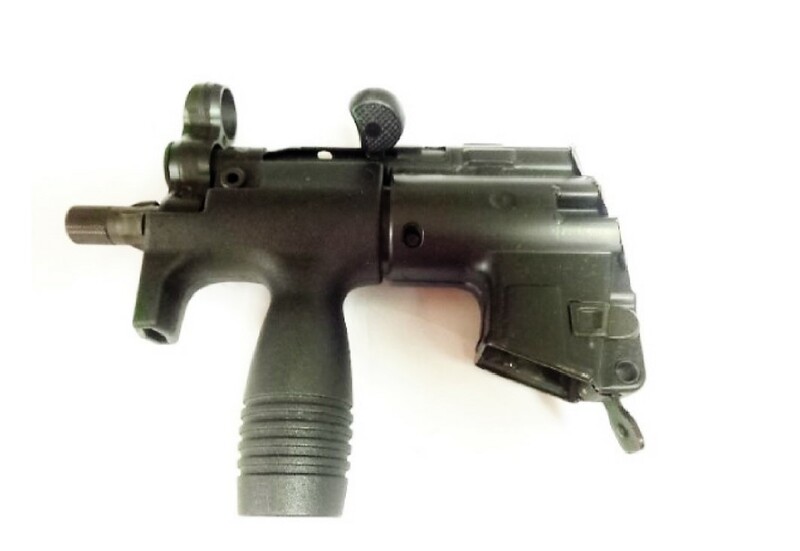 HK MP5K-N 9mm Barrel Front End in used very good condition. Barrel has date and nitro crest markings. Complete with factory german threaded trilug navy barrel, trunnion, magazine release assembly, vertical grip, push pin and complete cocking assembly. Stock phoot, only 1 available This unit has 2 brass threaded inserts in VGF on ejection side for small rail section! Perfect for your SP89 or SP5k K built. All NFA rules apply. Shipping insurance optional at buyers expense.